Verma's driver and security guard were also killed in the mishap when his Tata Safari car, carrying three more people, collided with a speeding truck on the stretch of the highway touching Shahjahanpur, close to Alwar. He was returning to Delhi from Sikar in Rajasthan. "The incident occurred at around 2.20 pm, when a truck coming from the opposite side jumped the divider and had a head-on collision with Verma's car. 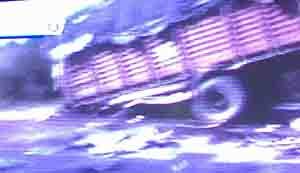 Three people have died in the accident," Deputy Superintendent of Police (Alwar) Rajesh Gupta said. In Delhi, BJP leader Vijay Kumar Malhotra and Mayor Aarti Mehra expressed shock and grief at the demise of Verma. "It is a big loss for the party and the country. He was a social activist who was highly respected. He had always raised his voice for the poor," Malhotra said. 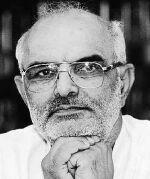 Verma was born on March 15, 1943 in a farmer's family in Mundka village in Delhi. 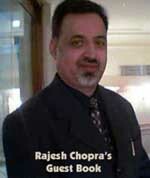 He began his career as a librarian in the Bhagat Singh College of Delhi University. Following his association with the Rashtriya Swayamsevak Sangh (RSS), Verma was elected councillor in the Municipal Corporation of Delhi (MCD) on a Janata Party ticket in 1977. In 1983 he won again, now on a BJP ticket, and remained councillor till 1989. In 1993 he won the assembly elections and became education minister in the Delhi government headed by Madan Lal Khurana. Verma became chief minister of Delhi in 1996 and held the post for more than two-and-a-half years. He was labour minister in the National Democratic Alliance (NDA) government headed by Atal Bihari Vajpayee from 2002 till 2004. He also held various positions in the party. Rajasthan Chief Minister Vasundhara Raje was rushing to the spot, Javadekar added. "It is a very cruel death, a very unfortunate death. We pay our rich tributes to the departed leader," Javadekar said. He said Verma's sudden demise was a big shock not just for the party but for everyone. "He was a lively, hardworking, honest man. He fought for the cause of the poor and the working class. It is a real sorrow for all party members," Javadekar said. Sixtyfour-year-old Verma was the Chief Minister of Delhi between 1996 and 1998. He was also the Union Labout Minister during the NDA regime. 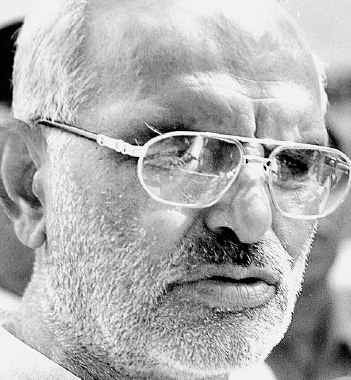 Sahib Singh Verma (born March 15, 1943) is a former Chief Minister of Delhi state in India and a former minister in Government of India. He is a leader of Bharatiya Janata Party and was elected to Lok Sabha from Delhi. Sahib Singh Verma is very much respected in teachers` community. Educational Qualifications : M.A., M. Lib.Sc., Ph.D.